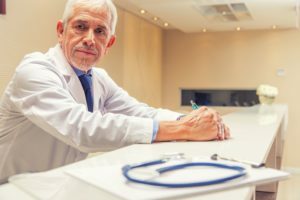 Home » What are the 4 Elements of Medical Malpractice? Medical errors now stand as one of the leading causes of death in the country. In fact, recent research out of Johns Hopkins University has shown that medical errors have climbed to #3 on the list. Many thousands more are severely injured even if they survive the incompetent treatment. In Pennsylvania, you can receive compensation when a medical professional’s error causes injury or death. But you need to prove the essential elements of medical malpractice first, so we will discuss them below. The medical professional who treated you must have owed you a duty of care. Of all the elements of malpractice, this one is usually the easiest to prove, especially if you have a doctor-patient relationship. In fact, it is so often easy to prove that many lawyers don’t even consider it an element (though it is one). This is often the most disputed of the four elements of negligence in healthcare. Essentially, you need to prove that the care provided to you was inadequate. Of course, doctors and other medical professionals do not have to be perfect. But they do have to be competent, and they must provide the standard of care that other professionals in the field with similar training would provide under the circumstances. This is a very fact-intensive analysis that relies on what the doctor knew when and how a reasonably careful doctor would have acted in the same situation. Unfortunately, few jurors have medical training, so this is completely outside their base of knowledge. They don’t know what a competent doctor would have done in the same situation, so they need some expert help. For this reason, a medical expert is retained to establish what was the standard of care and an opinion on whether your doctor fell below that standard. The best experts are usually current or recently retired practitioners in the same field as the medical professional you are suing. They can speak authoritatively about the standard of care and whether the defendant’s conduct was adequate. A doctor can make a mistake, but you can’t sue if the mistake didn’t injure you. For example, a doctor might have prescribed the wrong medication, but if you never took it, you have no “injury” that warrants bringing a lawsuit. “Damages” refers to the sum of money you can receive as compensation for your injuries. This money can pay for medical care, including corrective surgery, as well as lost wages, pain and suffering, and emotional harm or trauma. The amount will depend on the circumstances of your case. Essentially, you must link the medical professional’s failure to follow the proper standard of care to your injuries. So, if a careless surgeon ends up removing the wrong lung, then you have direct proof that the doctor’s negligence is to blame. Sometimes, it is difficult to prove that a professional’s mistake is the cause of your injury. For example, a doctor might have failed to diagnose cancer when you met with him two years ago. You then become ill with cancer. Did the failure to diagnose “cause” your injuries? In this type of case, you can prevail if you show that the doctor’s conduct increased your risk of harm. Had the doctor given you a timely cancer diagnosis, then you would have had a better chance of treating or even beating the disease. As a result of the doctor’s failure to timely diagnose the cancer, you have been exposed to an increased risk of harm. Medical malpractice cases are very complicated. You need solid evidence to prove all of the legal elements of a medical malpractice case. Pennsylvania has also placed many procedural hurdles in front of injured patients, and you need a seasoned legal advocate who can guide you through the process. Contact PhillyLaw, today. We have helped many injured patients hold medical professionals accountable for their negligent treatment, and we will be happy to represent you as well. For more information, please contact us at 215-515-2050 or submit an online form to schedule a free consultation.